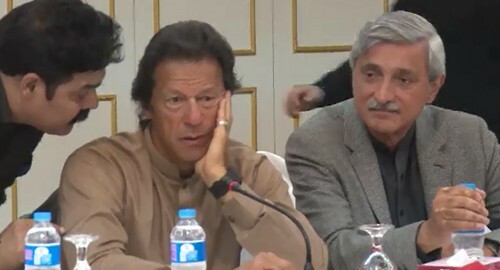 ISLAMABAD (92 News) – PTI chairman Imran Khan has jumped in to end groups within the party leadership. He will remove differences between Ch Sarwar and Shafqat Mahmood. He will also try to reconcile the group of Hamid Khan, Waleed Iqbal and Yasmin Rashid with another group. Moreover, differences will also be removed among Ijaz Chaudhry, Aleem Khan and Mian Mahmoodur Rashid.